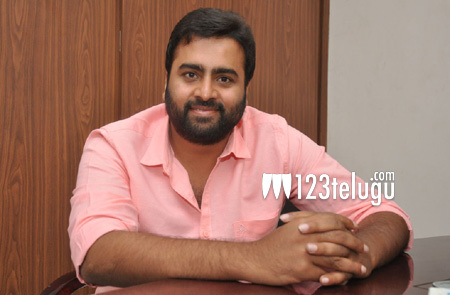 Young hero Nara Rohit, is doing back to back films off late. Out of his many films, Tuntari is hitting the screens first this weekend. On this occasion, we caught up with him for a detailed interview. Here is the transcript. Q) What made you choose a remake ? After watching the Tamil film, I liked the characterization of the hero very much. I thought it would be very challenging to play such a role which I have never attempted before. Q) You are shooting films back to back. How are you managing it ? I am very young and physically fit. Shooting for multiple films is not a problem at all. Q) Why are you doing so many films at a time ? For the first six years, I did films very slowly. Now times have changed and as I got some very interesting projects, I am doing them back to back. Q) Three of your films are releasing in a span of one month. Don’t you think it is a huge risk ? Now a days, the life of a film is just two or three weeks. Also, the genres of all the three films are quite different and will not confuse the audience at all. Q) How did you train yourself for your boxer’s role in this film ? Boxing is only a part of the film and did not require me to train much. Tuntari is more of an entertainer and promises full fun till the end. Q) What made you choose Kumar Nagendra as he has given huge flops before ? You just cannot write off a director because of one film. I felt that some things did not work out with his previous films. After seeing this film’s output, I feel that he has done a wonderful job with the remake. Q) Did you make any changes for the remake ? Yes ! we tweaked the film a bit and added more comedy and emotions to suit the Telugu nativity. Q) When are you going to reduce your weight ? Laughs ! For my new film which I am going to start from June, I need to reduce my weight to suit my character. This time there will be no excuses and I will surely surprise you with my new look. Q) When are you going to marry ? As I am busy with multiple films, I don’t have time to marry. At least for this year I will not marry.